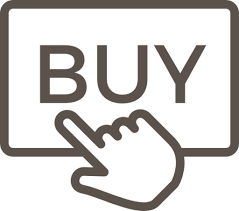 The first version of the product was released in 2013. Written in Objective C it was a basic downloading tool that could process one video at a time. [unreliable source?] CNET staff in their review says that “It has a very streamlined interface with just a couple of options and a copy/paste mechanic.”  Additional functionality was added including the capacity to download a few files simultaneously by copy-pasting links in a text editor. The app can convert downloaded content into a format and resolution of user’s choice – HD, SD and low definition. The app is capable of extracting audio files from videos. Starting from version 2.0 the app can download entire YouTube playlists. Initially developed for Mac OS, Airy also supports Windows. Marina Dan from Softpedia says that “Airy is a useful and reliable piece of software that provides with the means of downloading videos or extracting the audio from selected clips on YouTube” [unreliable source?] The Mac version has more features than the one for Windows, including playlists download and ability to pause and resume downloads. AIRY being a basic viedo-downloader doesn’t come with any frills or extensive preferences and options. Just a setting for where you want your downloads to be stored, or choose after each download. There are some Youtube downloaders on todays market available, all doing exactly the same job in a different interface. 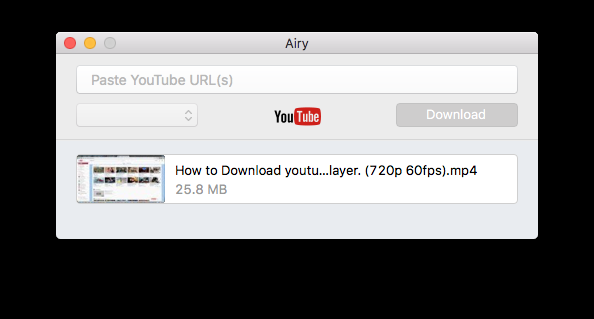 Airy for Mac is developed for those wanting to download video’s or mp3 files from Youtube. As Google doesn’t really want you to download YouTube stuff, this utility comes handy. You may opt for an “Open in Airy” bookmarklet, to be installed by selecting “Integrate into Browser” from the application menu, which streamlines the download and selection-process for videos already open in your browser. Most videos can be downloaded in MP4 or 3GP format. The video downloads are possible in a variety of resolutions presented in a drop-down menu. The new 4K standard or even 8k is supported by Airy. Music video MP3’s option can extract the audio track only, useful feature if you need an option like this. There is no selection for bitrate when downloading MP3’s, this is again a feature to be added in future versions giving you full control over desired MP3 sound-quality! This video demonstrates Airy in action. 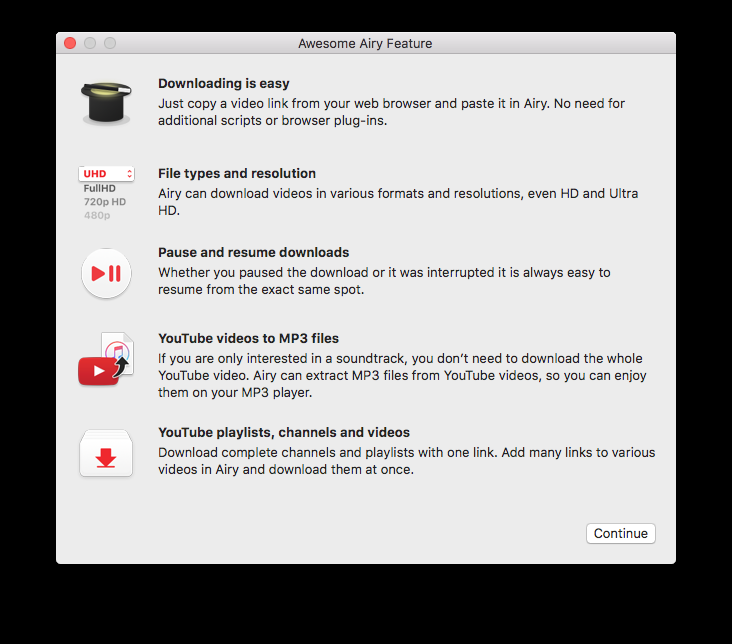 AIRY for Mac YouTube video downloader is your perfectly working one-stop utility. Its interface makes it easy to use, and the bookmarklet makes it even easier to do the job straight from your browser. It supports a variety of video resolutions and MP3, as available options. The latest 4K or even 8k video resolution is supported, a minor is the absence of a bitrate selection for MP3. Airy does exactly what it claims, ..download and store.